One frequent request I get is to start including some main meals so people can create a balanced Harry Potter menu for their party. 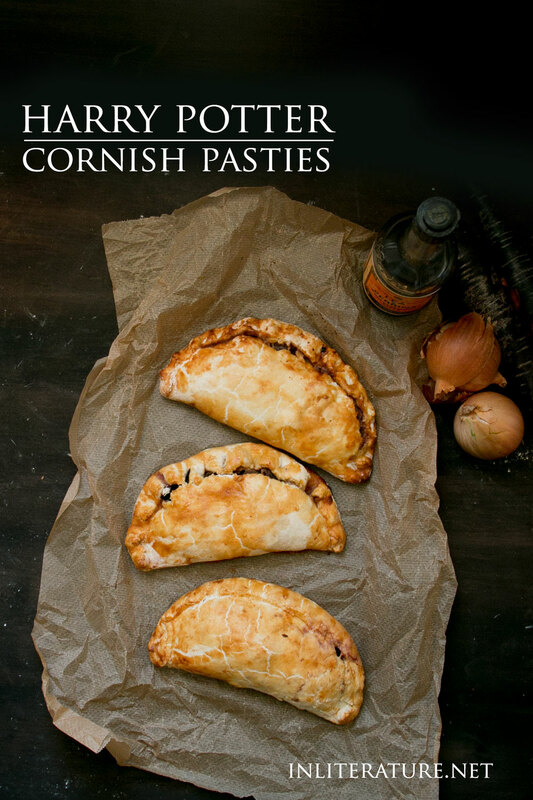 Cornish pasties really are one of the best main meals to serve up– they can be made the day before and either eaten cold or reheated in the oven for serving. While they can be made in different sizes, a more petite size would be best if making for a party. Quite frankly, anything that can be eaten with your hands or as finger food, is a bonus. Nowadays there seems to be guidelines on what makes Cornish pasties ‘traditional’. However, like many other vintage recipes, versions I’ve seen reflect that pasties were made with ingredients that were available, rather than ‘correct’. If you want to follow what is deemed ‘traditional’, by all means head off to the Cornish Pasty Association website. I’ve added Worcestershire sauce, tomato sauce and carrots, which I found later are apparently deemed sacrilege, but oh-so delicious. To stay a little more to tradition, I’ve left it out of this recipe so you don’t make the same mistake I did. Whichever way you makes these, if making them for a party, once baked, pop them straight in the fridge to quickly cool down. The next day when ready to serve (about half an hour before), pop them in the oven to warm back up. Don’t use the microwave– it’ll make them mushy. Start by prepping the filling, chopping up the beef, swede, onions, and potato, and mixing it together with the Worcestershire sauce and tomato sauce. To make the dough, rub the lard and flour together, then knead until it's become a firm dough. Dust some flour on the counter, then roll the dough to ⅛ inch thick. Use a small side plate as a template to cut out a circle. Scoop the filling onto on side of the pastry, spoon and brush water on the edges, then fold the pastry over to form a D-shape. Press the edges together all along the curve of the D.
Fold in and pinch the bottom edge of the pasty. Place on a baking paper lined baking tray, pierce dough in two places to allow for steam, then brush the tops with the beaten eggs. Place in a preheated oven of 180C for one hour. 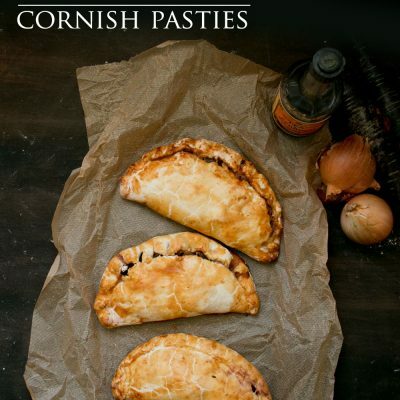 The Cornish Pasty Association has instructions and photos on their website which make it clearer to understand. *There seems to be some confusion about swedes vs turnips, based on what you call them in which country. Filling recipe adapted from Jane Girgson's English Food and a recipe for Cornish Pasty on Taste.com.au. 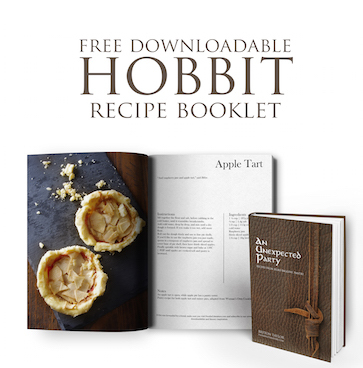 The pastry recipe was adapted from Eliza Acton's Modern Cookery for Private Families. Looking for more main meals for Harry Potter? Try these. And follow up with some dessert from the Harry Potter series.